Wong's Restaurant is always a place that Joe wanted to try for a long time for it's famous Fried Yam Duck. The waitresses were attentive. interior was nice. 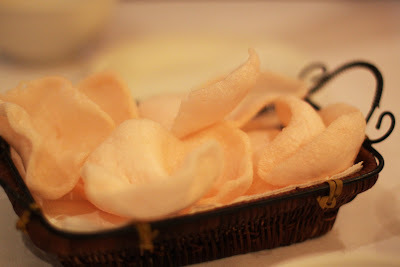 First up, on the house, prawn crackers. Then about 10-15 minutes later, our dinner served. 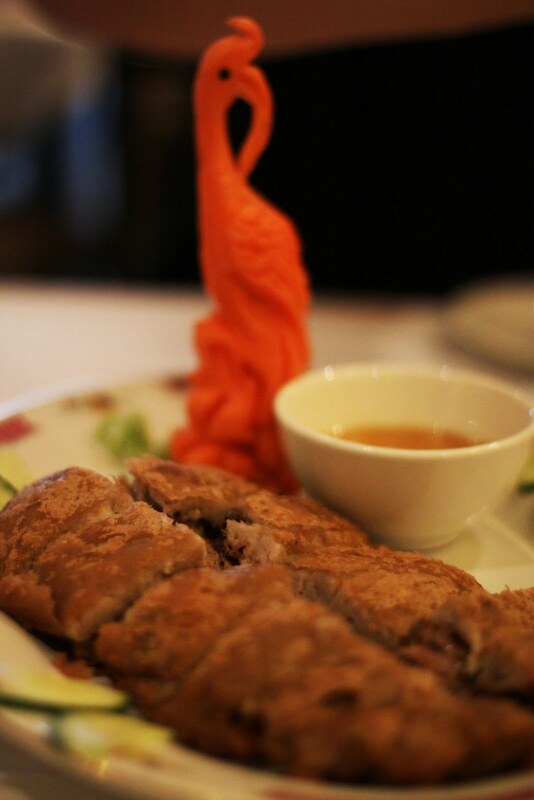 Fried Yam Duck with the beautifully carved carrot (carrot is for presentation only). We quite like this dish, it doesn't taste oily, soft yam, unfortunately the duck meat was pretty hard and dry plus the pieces were too big. 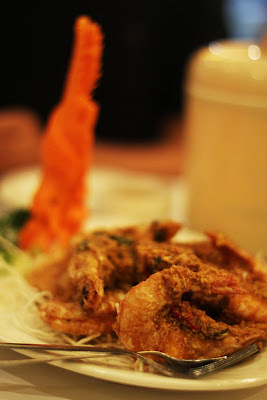 Golden prawn is actually prawns with shell coated with century egg yolks and deep fried. Somehow, this dish taste like chinese style butter prawn. I wonder if they named it incorrectly or they gave us the wrong dish. But the prawns were quite nice though. Fragrant and crispy. The place is a local hotspot. One of the best places to savor Asian cuisine in town.